On Monday, Aston Martin released renderings of a conceptual vertical takeoff and landing (VTOL) aircraft that it calls the Volante Vision Concept, stating that the vehicle represents its interest in entering the luxury aerospace market. The British automaker announced the project would be developed in conjunction with Cranfield University, Cranfield Aerospace Solutions, and Rolls-Royce—not the BMW-owned automaker, but the engineering group, which also announced its own VTOL craft Monday. 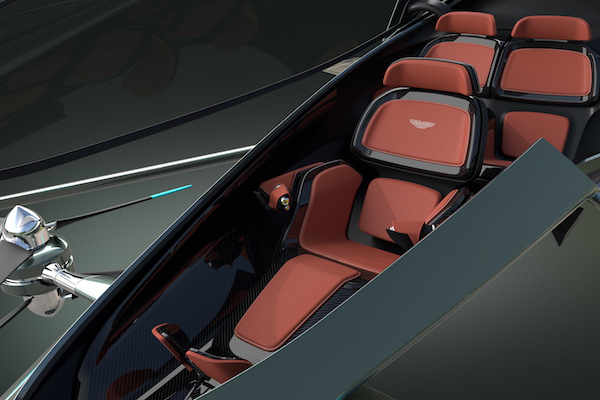 Aston Martin touts the Volante Vision Concept as high-flying intracity and intercity transportation for high-rollers, claiming the vehicle will use hybrid-electric propulsion, and be controlled autonomously, nevermind the fact that electric aviation is still getting off the ground, and that mankind has yet to figure out autonomous travel in two dimensions, never mind three. "With the population in urban areas continuing to grow, congestion in towns and cities will become increasingly demanding," stated Aston Martin CEO and President Andy Palmer in the company's press release. "We need to look at alternative solutions to reduce congestion, cut pollution and improve mobility. Air travel will be a crucial part in the future of transportation, the Volante Vision Concept is the ultimate luxury mobility solution." "We are delighted to be involved in the Volante Vision Concept, which showcases the best of British design and engineering," stated Rolls-Royce Electrical Director, Rob Watson. "Rolls-Royce has already delivered hybrid-electric systems for other applications including ships and trains, and we're very excited about the potential of the technology in aerospace." 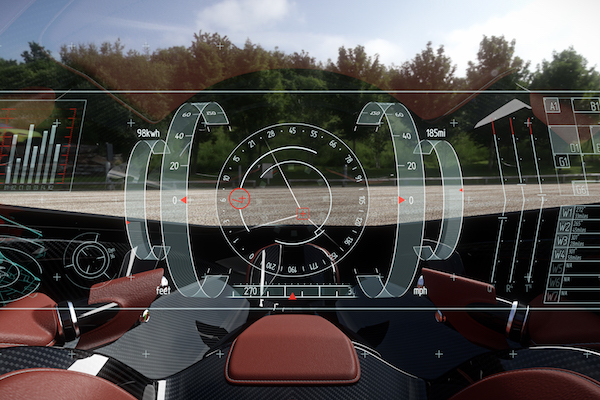 Despite optimistic leadership, the technologies necessary for making the Volante Vision Concept meet the promises made in its press release are simply out of reach. Uber, which dwarfs both Aston Martin and Rolls-Royce in this department, intends to advance its own urban air travel program to testing by the end of next year and make its service commercially available in 2023. As outlined already by The Drive's Eric Adams, however, urban air travel of any kind—electric or not—is easy only in theory, and a pie-in-the-sky daydream in reality. Maybe Aston Martin should stick to submersibles for now. Life jackets are easier to operate than parachutes, after all.